Update 4 p.m. Attorney General and wannabe governor Jerry Brown announced Friday that agents from his office will conduct “an independent investigation” of doctors involved in the LAPD’s ongoing probe of Michael Jackson’s death. With the county coroner having ruled Jackson’s death a homicide, Brown said members of the AG’s Bureau of Narcotic Enforcement would pursue leads in the case, most likely involving prescription drugs and anesthesia administered to Jackson shortly before his death. It is the second high-profile criminal matter that Brown has stepped into in recent days. Calbuzz pleads guilty. 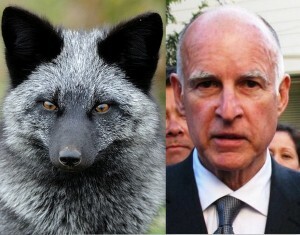 . . To writing about Jerry Brown way more as a candidate for governor than as California’s Attorney General. But when we saw that Crusty the General’s Bureau of Narcotic Enforcement, working with the Imperial County Narcotic Task Force, Imperial County District Attorney Otero, and Imperial County Sheriff Raymond Loera, had seized 550 pounds of cocaine and marijuana and indicted 16 people – “dealing a body blow to Mexico’s Sinaloa drug cartel” – we had to take note. Calbuzz is not making this up. (BNE coined the name, we’re told.) This is what you might call perceptual synchronicity – a perfect harmonic convergence of moniker and monikee, of label and labeled. And it gave the Silver Fox himself a chance to brag. “Initiated in January 2009, the investigation found that the Mexican cartel smuggled drugs into Southern California-often through the Calexico ports of entry using vehicles equipped with hidden compartments-and would subsequently distribute the drugs to buyers in cities throughout the United States and Canada. It’s On: Accusing Meg Whitman of a “secret smear campaign,” Steve Poizner threw up a new, “myth-busting” web site Thursday, trying to counter a mash-up attack video, quietly shopped to the media by eMeg’s press secretary, that hits him on the issue of early release for felons. The video, which is here, juxtaposes a clip of Poizner in 2004, when he was running for the Assembly, with audio tape from an interview he did this week with “John and Ken,” hosts of a conservative talk show in L.A. As a legislative candidate, Poizner said it’s reasonable for the state to grant early release to non-violent felons; as a candidate for governor, the Insurance Commish says that it’s a “terrible, terrible idea” and tries to make like John Wayne. 1. The attack on Poizner over early release is totally legit, as were Pompei’s actions in pushing it out, but she loses major style points for getting busted on her email. 2. Agen did nice work in moving quickly in trying to make eMeg’s sneaky M.O. the issue instead of Poizner’s flip-flop on early release* but loses minor style points for hyperventilating rhetoric. 3. Props to both of them for not snitching out the reporter. 4. The abiding issue is that Her Megness is still ducking and hiding instead of coming out into the arena and playing the game. If she wants to accuse Poizner of being a flip-flopping weenie, fine, but have the stones to stand up and say it, instead of hiring Inspector Clouseau to plant the evidence. Paris, Brit…and Carly? Back when she was, um, leading Hewlett-Packard, Carly Fiorina briefly basked in the adoration of the nation’s business press, which dubbed her a “Celebrity CEO.” Now limbering up for a U.S. Senate run, Hurricane Carly, in a serendipitous turnabout, has hired on Strategic Perceptions Inc., the campaign media consultants who produced the famous “Celebrity” ad for John McCain in last year’s presidential race. The McCain ad, which is here, was produced by SPI chief Fred Davis, who performed a lovely work of political ju-jitsu, tagging Barack Obama as “the biggest celebrity in the world,” while juxtaposing images of his rock-star trip to Europe with those of Paris Hilton and Britney Spears. Oh, can’t we open our presents now? As the countdown hits 24 hours, anticipation is building to fever pitch in advance of the big announcement of the Calbuzz New Deal. See this space Saturday for full details. Let’s make things perfectly clear: Far be it from us to beat a dead horse – take that, Seabiscuit! – but the Calbuzz Department of Redundancy Department is feeling vindicated – and thus compelled to recall the righteous thrashing we delivered to the off the mark Daily Kos/Research 2000 poll when it proclaimed that the Jerry Brown-Gavin Newsom race was allegedly getting close. While certain scribes (we name no names) at the time bought the Kos poll hook, line and sinker, Jim Moore’s much-publicized new survey of the Democratic primary race for governor demonstrates that far from “tightening,” Brown has actually increased his June lead over Newsom – when he was ahead 46-to-26 percent – to 49-to-20 percent in August. The new JMM Research survey is based on actual likely voters, unlike the screwy Kos poll, which apparently used a sample-selection method that only makes sense in some alternate universe. More on Moore: In June, when respondents were asked “Do you think Gavin Newsom has sufficient skills to be governor?” 41% said yes and 19% said no; in August it came back 39% yes and 29% no. Oops. Worse for the Prince, Brown’s numbers on the same question improved, from 69-to-7% in June to 78-to-10% in August. Also, in projected match-ups against Meg Whitman and Steve Poizner, Brown leads Whitman 42-to 32% and Poizner 45-to 32% while Newsom trails Whitman 34-to-41%. Moore’s gold standard survey interviewed 600 likely voters from the voter list (+/- 4%), including 355 Democrats (+/- 5%). “San Francisco Mayor Gavin Newsom might as well tote around town in a bus. His current ride, a Chevy Tahoe Hybrid SUV [example shown here for illustration purposes only] equipped with the latest in mobile technology, has a bigger engine than the latest addition to the San Francisco Municipal Transportation Authority’s buses. Maybe that’s why he’s running on fumes. What are we missing? Joel Fox is a very nice fella with whom we often disagree on policy, but he may be on to something with his latest suggestion for reform over at Fox and Hounds. Like all good conservatives, Fox likes that whole Back to the Future thing, in this case, reverting to what the Calbuzz constitutional cognoscenti know as the “Riley-Stewart amendment,” a long-repealed provision that required a two-thirds vote to pass a new budget in the Legislature only in cases when spending increased more than five percent. A close reading of Riley-Stewart, however, shows the matter is slightly more complex than it appears at first blush. For one thing, the five percent spending increase was measured over a two-year period – what your framers liked to call your “biennium” – not one year. On the other side of the ledger, however, RS also did not count spending for schools in the measure of increased appropriations. So, at a time when compromise on the two-thirds rule looks as likely as Glenn Beck starting to quote from The Age of Reason, the wily Fox may be pointing to the Third Way. Call now – don’t lose your place in line: Even as you sit there thinking – Wow, I wish I could get ahold of some Calbuzz mojo and Google juice – our Department of Weights, Measures and Marketing is busy preparing to roll out a splendid new advertising opportunity for companies, campaigns and candidates wanting to cash in on our high-end eyeball stash of what you call your insiders and decision-makers in California politics. 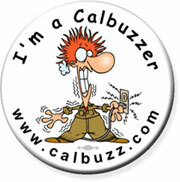 Watch this space Saturday for the Calbuzz New Deal. 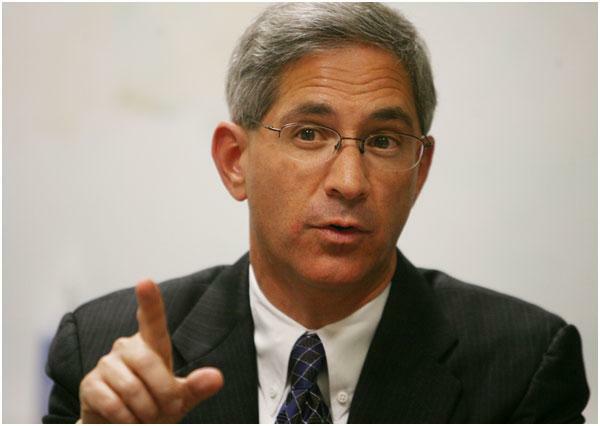 One of California’s top campaign media consultants, Carrick worked in Kennedy’s failed bid for the presidency in 1980, then as his political eyes and ears in the Senate office from 1982-87. He was awakened early Wednesday by a phone call from another ex-aide, informing him the 77-year old Kennedy had died, succumbing to the brain cancer he had fought for more than a year. Carrick’s first gig in big league politics was running South Carolina and Texas operations for Kennedy’s 1980 challenge to Jimmy Carter, and he recalled how surprised he was upon meeting the Senator for the first time that year. When he went to work in the Senate office, “the workload was incredible,” he recalled, and no one worked harder than Kennedy. So in January 1983, when Kennedy grabbed him and told him to come along to a swearing-in reception being hosted by Thurmond, Carrick objected, saying that the arch-conservative Senator knew his family and that they had always opposed him politically. “Then he worked this whole room of South Carolinians, and Strom was, of course, incredibly flattered that “my friend Teddy” was there,” Carrick said. While Kennedy was best known for big achievements – the Americans with Disabilities Act, his “the dream will never die” speech, his lifelong fight for health care legislation – his actions in more private matters showed his concern for people was not just a political pose, he said. “He had a special compassion for people who were sick or dealing with death,” Carrick added. He got a first-hand taste of Kennedy’s personal touch in 2007, when a huge wildfire raged in Griffith Park, not far from Carrick’s Los Angeles home. As a political matter, the former Kennedy aide believes the Senator’s greatest strength was “his strong sense of the country” – a full understanding of the concerns and interests of colleagues from every state, forged by his personal background, his own presidential campaign and that of his assassinated brothers. Another top political consultant we spoke to today — San Jose-bred Joe Trippi (who’s working with Jerry Brown on a possible campaign for governor) — also got his start in the big leagues working for Kennedy’s 1980 campaign and then at his Fund for a Democratic Majority. The last time Trippi saw Kennedy was in his Senate office last Spring where, as he was leaving after a long visit, he turned and told his mentor, “You changed my life.” Trippi said he’s forever grateful he got that chance. Calbuzz staff psychiatrist Dr. P.J. Hackenflack has been on a leave of absence, serving as a special consultant on health care reform to Sen. Kent Conrad, D-N.D. He returns today to catch up on the Old Mailbag and answer reader questions on some recent political developments. I see that former Hewlett-Packard CEO Carly Fiorina is running for the U.S. Senate and wondered why she’s known as “Hurricane Carly”? Wherever she goes, she leaves destruction in her wake. I thought the Calbuzz reference to Senator Kent Conrad as “a four-eyed, hose-nosed twit” very nearly almost came close to bordering on incivility. How do you respond? – Earnest Bill, Superior, Wisc. You should have seen it before the copy desk toned it down. I’ve enjoyed Senator Abel Maldonado’s fascinating tweets about what he eats during late-night legislative sessions but would like some information about what Assemblyman Chuck Devore does for snacks? Generally, he just chews on Carly Fiorina’s ankle. Garry South said that Jerry Brown has had “more positions than the Kama Sutra.” What’s his favorite one? – Ms. Cosmo, N.Y. N.Y. Loosely translated it ‘s “Old Gray Stallion Trots to the Left Then Gallops to the Right,” according to Calbuzz’s Department of Sanskrit Documentation. Dear Colleague: Is it true Steve Poizner recently had surgery? Yes. I’m happy to report he’s recovering nicely from a charisma bypass. I understand that as S.F. mayor, Gavin Newsom ignores and blows off the Board of Supervisors. What does that portend for how he’ll deal with the Legislature as Governor? How he’ll deal with the WHAT? A friend of mine compared Carly Fiorina to Marie Antoinette. What in the world could these two have in common? Neither of them ever voted. Zut alors! I heard on the street that Meg Whitman is running her own campaign, modeled on Lincoln’s 1858 Senate race. What’s her expert opinion on how Abe managed his election operation? – Fleischman Flash, Gettsyburg, Pa.
She’s sure he blundered by agreeing to all those pesky debates with that guy Douglas. So Tom Campbell says he should be governor cuz he’s a big brain Chicago School economist who trained with Milton Friedman. Big deal – I wonder how many of those guys it takes to change a light bulb. None. If the light bulb needed changing the market would have already done it. I can’t thank you enough for publishing that short sample of Barbara Boxer’s new novel, which I greatly admired for its literary quality. Do you perchance have an excerpt of the roman a clef Carly Fiorina is supposedly writing? Sure: “Cara Sneed caught an approving glimpse of herself in the glass reflection of the post office window. “Yum, you look good, girl,” she chuckled with amusement to herself. Entering through the entrance door, she caught the admiring glimpse that the shabby tech geek standing on line gave her, and imagined to herself a little thought balloon bouncing in the air above his head – “Whoa, she looks good – I bet that woman can move some digital printers.” Then she softly tee-heed once again to herself. She gently slipped her absentee ballot into the yawing maw of the patriotically colored mail box, and pivoted gracefully on her strappy Manolos to saunter out through the door, when a sudden flash of dread struck her in the tummy.